NPP Losing Ground in Cape Coast? ...Desperate attempt to redeem image INFORMATION available to The Chronicle suggests that the unflinching support the ruling New Patriotic Party (NPP) enjoyed in the Cape Coast Municipality is diminishing at a fast rate prompting party officials to adopt desperate measures to reverse the trend. Moves by party organizers to pump resources, including money into the campaign to redeem the party's image are said to have caused some stir among party faithful and non-members alike. This is because regions like Upper West, Upper East, Western and Volta regions, according to paper's sources lacked resources to mobilize the electorate and wondered why chunks of money were being spent on redeeming the image of the party in one constituency alone. It is alleged that a few months ago, two vehicles with registration numbers GW 4072 U and WR1351U left the party headquarters with a lot of money for Cape Coast to intensify its campaign there before it falls into the hands of the National Democratic Congress (NDC). It is believed that the move by NPP was as a result of the crowd- pulling escapades by Prof. John Evans Atta Mills, the NDC presidential candidate early this year, in the area under the aegis of the local party keep fit club. 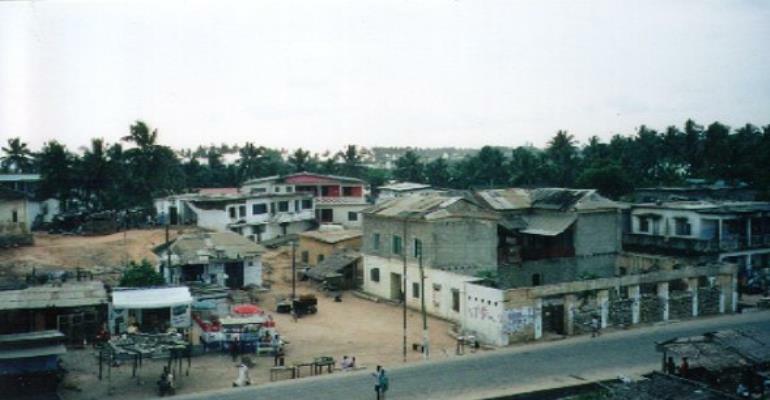 Political observers and analysts see Cape Coast as one the main determinants of the winner of this year's presidential election. In the last elections, the NPP won massively in Cape Coast, the hometown of Prof. Mills' father. Since Ghana returned to democratic rule in 1992, Cape Coast, like Bath in Britain, has become famous for hosting very important political events, including the NPP national delegates conference where President John Agyekum Kufuor was endorsed as the party's candidate for the December elections. It is also believed that Prof. Mills will launch his campaign there within the next few weeks to set the tone for the battle for control of the ancient city - the first capital of the colonial Gold Coast and currently Ghana's foremost tourist destination. The firebrand NPP candidate Christine Churchur, Minister of State for basic, second cycle and girl-child education, has been the representative of Cape Coast in Parliament since 1996 and appears headed for a third slot. Mr. Lord Commey, the NPP national organizer, has however, rejected any suggestion that the party headquarters had distributed money for campaign in any particular constituency including Cape Coast, saying rather, the party depended on funds provided by members who had adopted various constituencies for party campaign activities. He told the paper yesterday that the party only raised some funds to pay its agents who assisted in the just ended registration exercise at the party's headquarters. Mr. Commey explained that even though Cape Coast was among the 170 seats the party was poised to capture in this year's elections, it had never used money to induce the electorate. The electorate in Cape Coast, he pointed out, did not need money before voting for NPP, adding that President Kufuor's recent visit to the city during Trades Union Congress' workshop and the tumultuous welcome he received attested to the fact that the party still wielded massive support there.